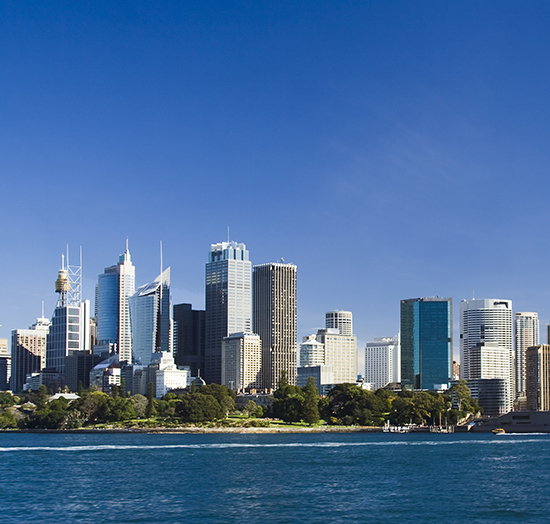 For many visitors, Sydney is the gateway to Australia, and what an entrance it is. The city’s iconic sights are now as familiar as those of London or New York, thanks to its talent for hosting some of the world’s biggest televised events and, undoubtedly, the planet’s best New Year’s Eve party. And yet every harbour crossing presents a different view; each urban stroll reveals fresh, exciting spaces to explore. Australia’s oldest city is constantly evolving: award-winning restaurants, world-famous sights, fantastic shopping and a vibrant arts scene – Sydney is a destination that’s got it all going on. 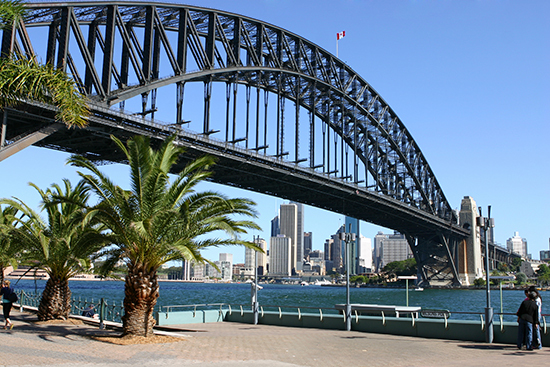 The first port of call for any visitor has to be the astounding feat of engineering that is the Harbour Bridge. But don’t just ‘ooh’ and ‘ahh’ from below. Hike the 1,332 steps to the summit with BridgeClimb Sydney and you’ll be rewarded with an incredible 360° panorama. For an exhilarating view without the exertion, opt for a seaplane experience and gaze down on the sparkling harbour as you soar above the city’s skyline. Down on terra firma, explore the history of UNESCO World Heritage-listed Sydney Opera House, and delve into some of the city’s many museums and galleries, such as the Australian Museum and the Art Gallery of New South Wales – treasure troves of historical and contemporary art and culture. Dynamic Darling Harbour is the place to play, with entertainment Meccas Madame Tussauds and SEA LIFE Sydney Aquarium, while the fun continues after dark in the harbour’s lively restaurants, clubs and bars. Sydney boasts plenty of sleek, modern malls packed with local and international design talent, including the two shiny Westfield centres in the Central Business District and Bondi Junction. For unique pieces, browse the 180 boutiques inside the Romanesque Queen Victoria Building, a stunning 19th-century arcade in George Street, or visit Saturday’s Paddington Markets. The Rocks, one of Sydney’s oldest quarters, hosts eclectic weekend markets, with fashion, food and craft stalls filling the cobbled streets, while live music adds to the laid-back village vibe. Sydneysiders love to dine out, and they’re in luck as their cosmopolitan city cooks up every kind of cuisine imaginable, from noodles to Nepalese, served at high-end restaurants, casual cafés and historic pubs, where the location is often as tasty as the meal. October is Good Food Month, celebrating the world-class culinary scene throughout Sydney and New South Wales, but any month is great for food in this town. 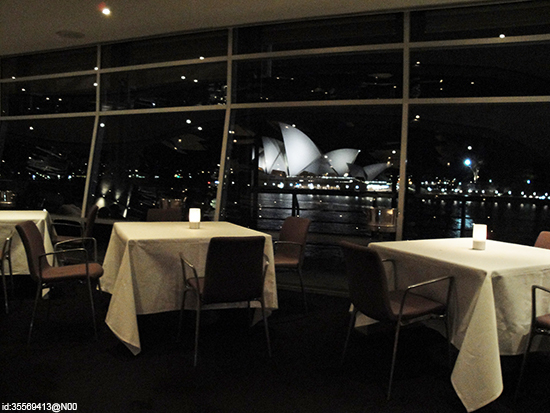 Sydney lays claim to two of the planet’s top 100 restaurants: Quay, suspended high above the harbour, serving classic and contemporary Australian fare, and Darling Park’s Sepia, offering a range of delicate, Japanese-inspired degustation menus. This may be the land of the barbecue, but these multi-award-winning eateries are leading the charge in the country’s food revolution. Book early to be part of the action. Sydney has become synonymous with New Year’s Eve, with more than a billion people tuning in to watch one of the world’s biggest fireworks displays fill the skies over the Harbour Bridge. Last year’s celebrations marked the start of 2015’s International Year of Light, but Sydney doesn’t limit its illuminations to 31 December. The annual Vivid Sydney light, music and ideas festival in May/June shines huge projections onto some of the city’s landmarks. It’s no surprise that a city set on the world’s largest natural harbour is fond of aquatic pursuits. Water is everywhere, and Sydneysiders put it to good use. 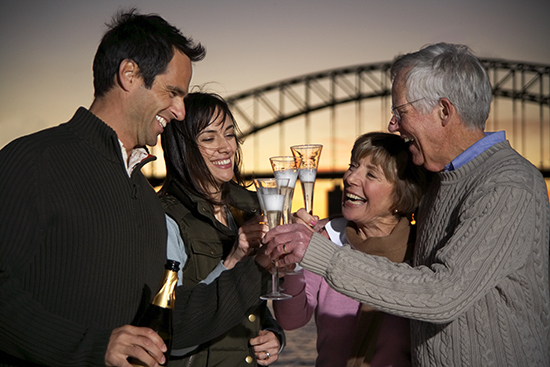 Join them by hopping on a ferry from Circular Quay to visit the city’s islands and bays or the famous Taronga Zoo; enjoy a sunset cruise of the harbour on a tall ship; try some human-powered exploration by kayak, surf ski or paddle board; or take a whale watching tour (May to November). 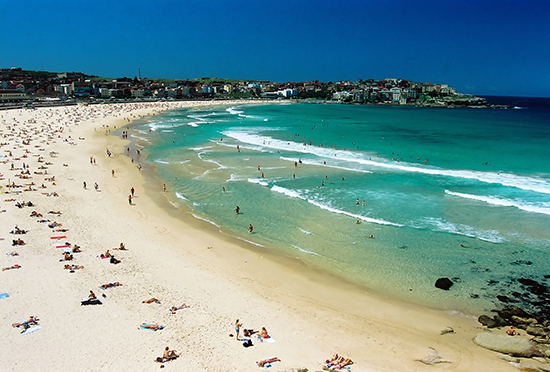 Legendary Bondi is the place to swim and surf just a stone’s throw from the city, while across the harbour, the soft sands of Sydney’s northern beaches stretch out from Manly up to Palm Beach, with chic coastal towns along the way: each one a golden reminder that this is a city that really does have it all.